Anywho, something that I hate when I'm cooking is getting food on the counters because you have no where to put your spatchula. 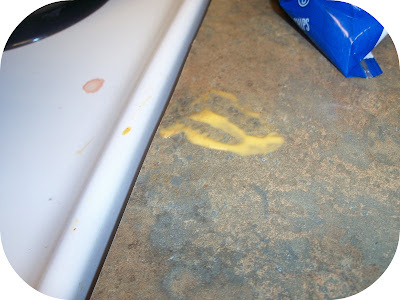 Or you put it in a laydle and you still end up having another step for clean up (having to wash it out). So most of the time you end up having you counters that look like this: And especially if you're already limited on counter space. And in this apartment we are definetly short on counter space. 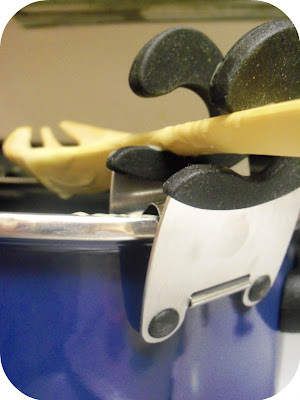 So when I came across this obvious space caver kitchen "tool" I couldn't resist! Now onto the next thing! ;-) I LOVE LOVE LOVE to bake. 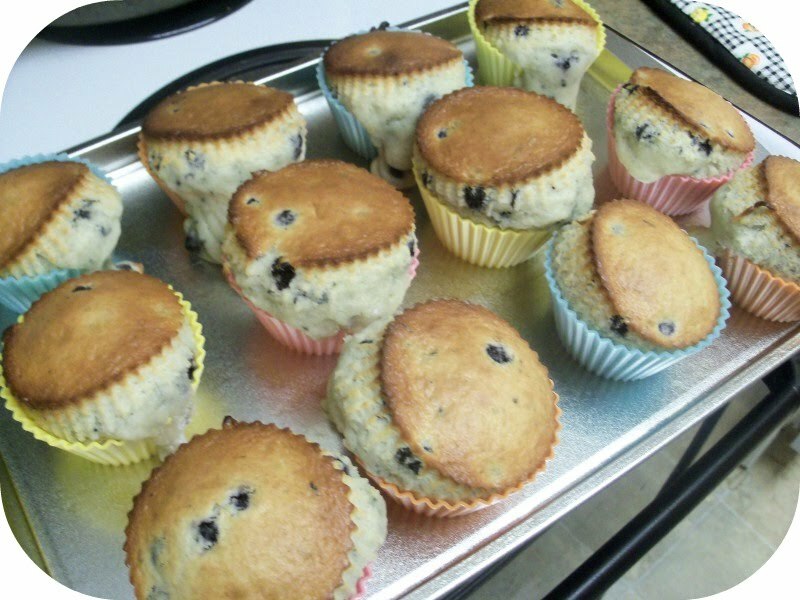 I would bake something everyday if it wasn't so bad for you. hehe I love the way your house smells when you do! 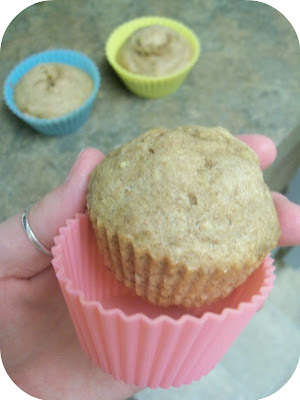 (including doing laundry) It's so inviting to smell something yummy being baked when you walk into someones house! So I picked up these silicone molds for cup-cakes. I loved the summer colors of this set. They had a bunch of different ones you could choose from but I thought these were cute and fun for the summer season. So, I whipped up some yummy blueberry muffins and got baking. 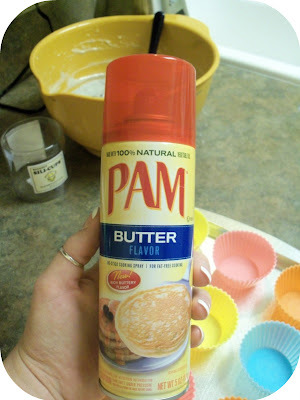 It says on the back to make sure you spray with Pam first before filling them with your batter. 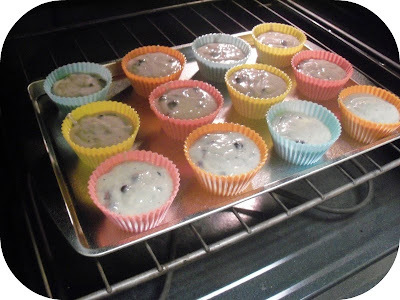 Filled them up and got them in the oven. YUM. I filled them up to much!!! LOL They were still yummy tho. 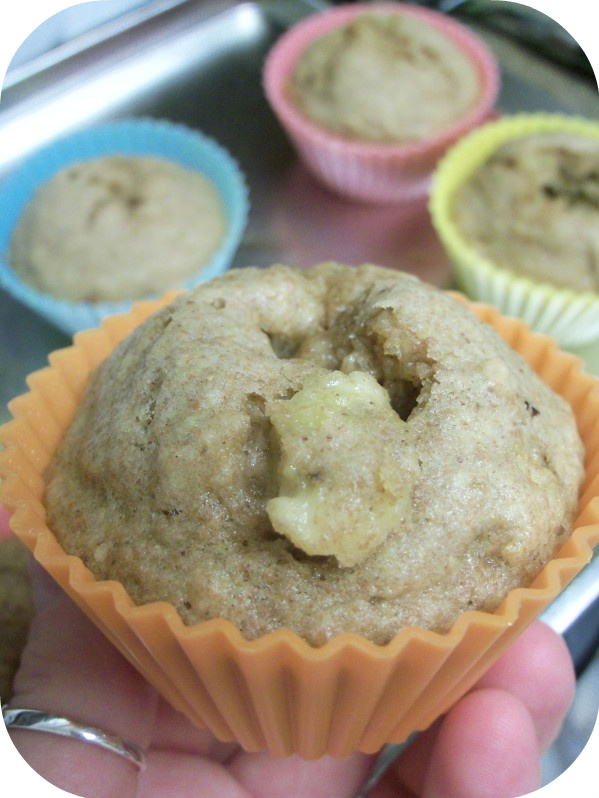 The yummy banana chunks melting over made them even more yummy. The best thing about the molds is they are so easy! The bread just slipped right out. 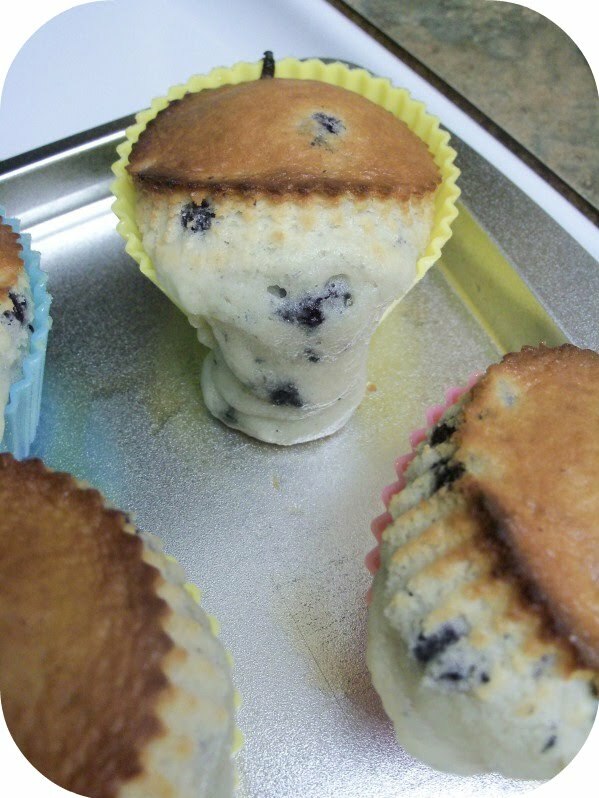 No more flipping over the pan and watching as all the cup cakes go flying everywhere, no more forks trying to pry them out of the pan. Just easiness...lol is that even a word? To cute. Way worth getting. And it's been lots of fun in our kitchen. 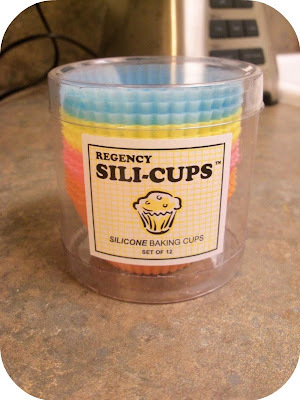 love the cupcake molds....fun idea.